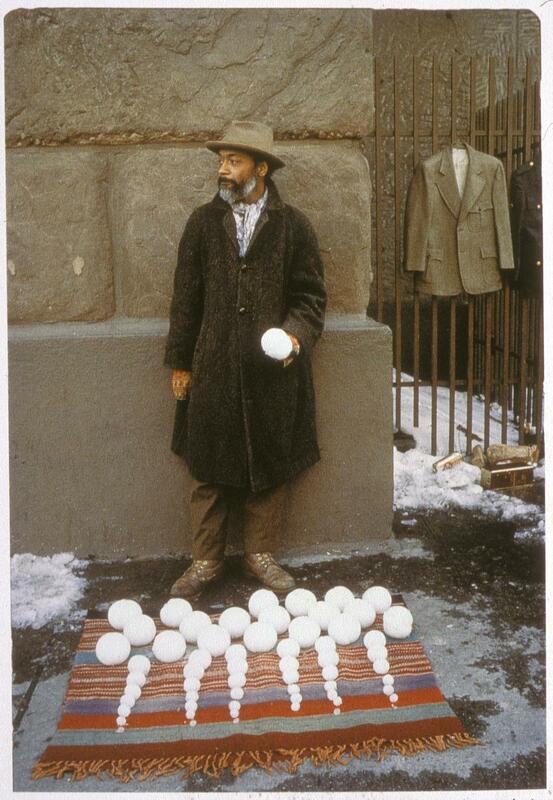 David Hammons, Bliz-aard Sale, 1986. 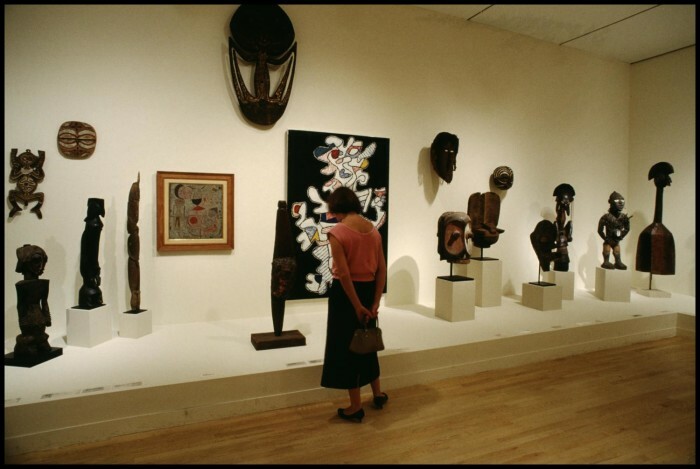 Primitivism in 20th Century Art: Affinities of the Modern and the Tribal, MoMA, 1984. 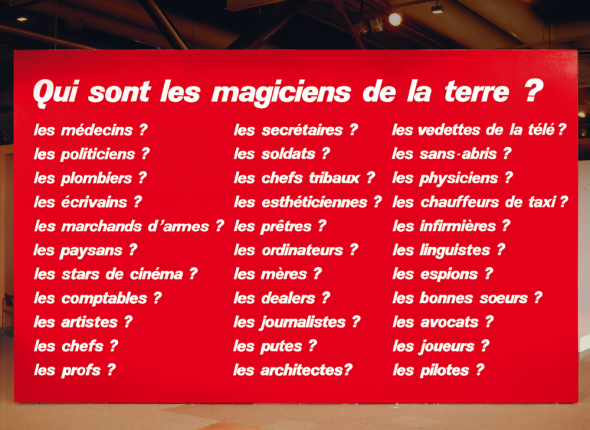 Les Magiciens de la terre (Magicians of the Earth), Pompidou Centre, 1989. 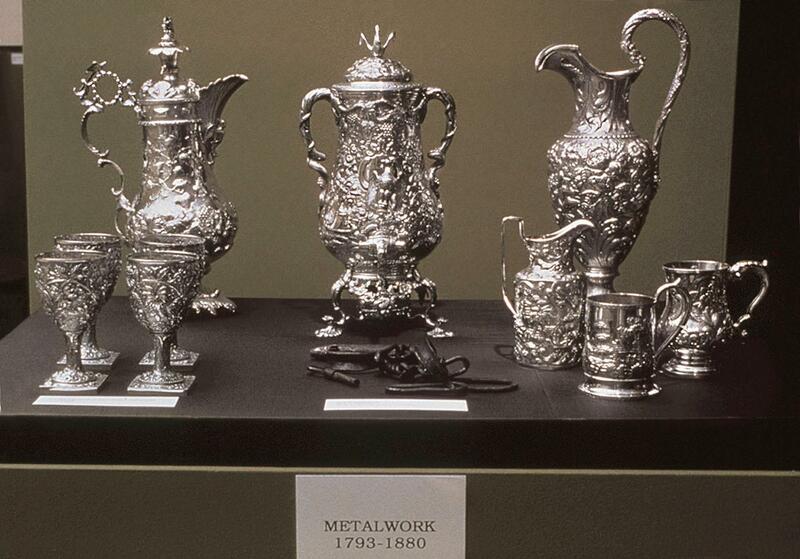 Fred Wilson, Mining the Museum, at the Museum of Contemporary Art in Baltimore, 1992. 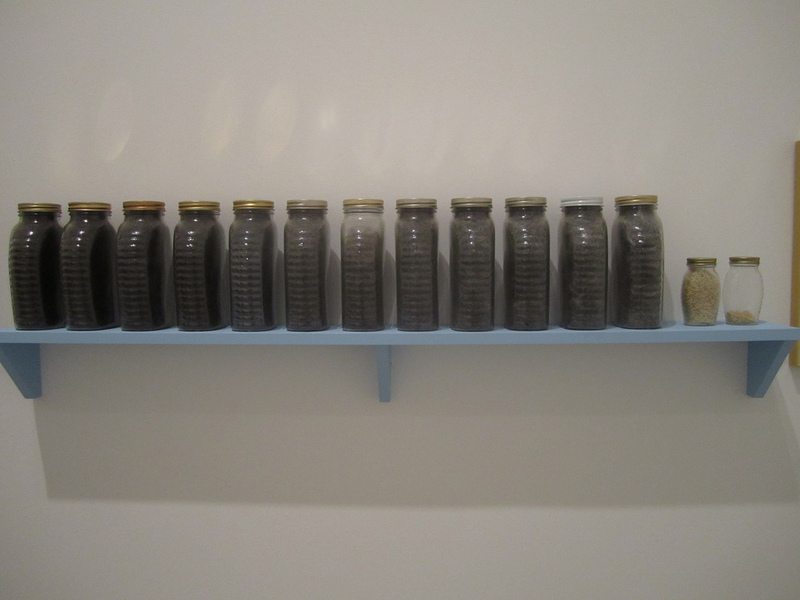 Adrian Piper, What Will Become of Me, 1985 - ongoing. 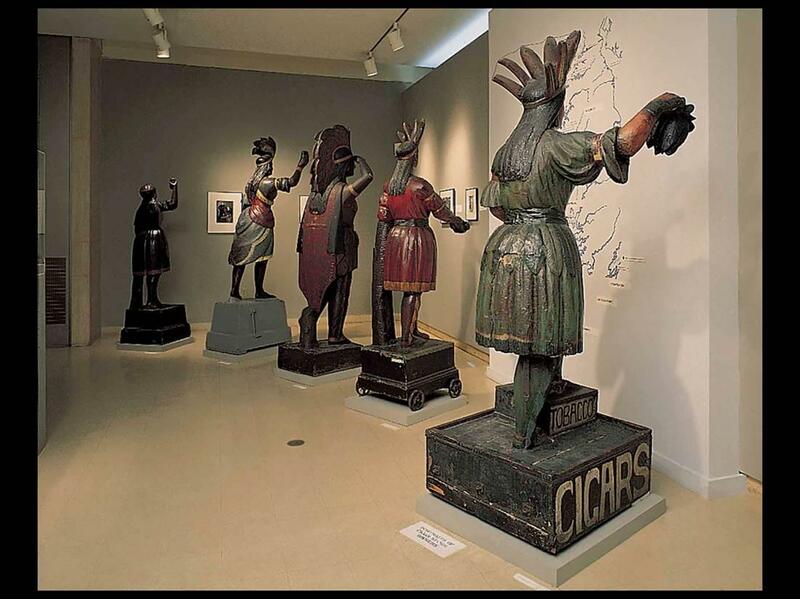 "It’s a genetic and social fact that according to the entrenched conventions of racial classification in this country you are probably black. 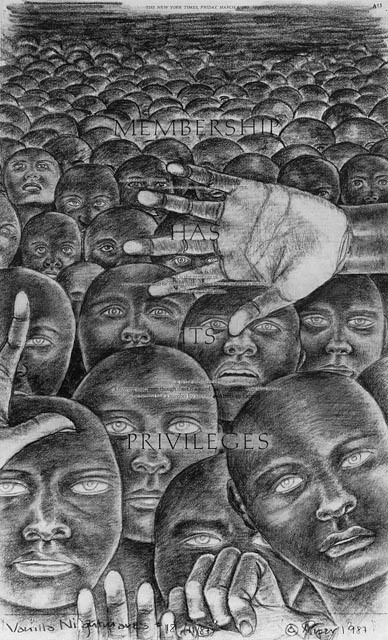 So if I choose to identify myself as black whereas you do not, that’s not just a special, personal fact about me. It’s a fact about us. It’s our problem to solve. So, how do you propose we solve it? What are you going to do?" Adrian Piper, Vanilla Dreams, 1986. 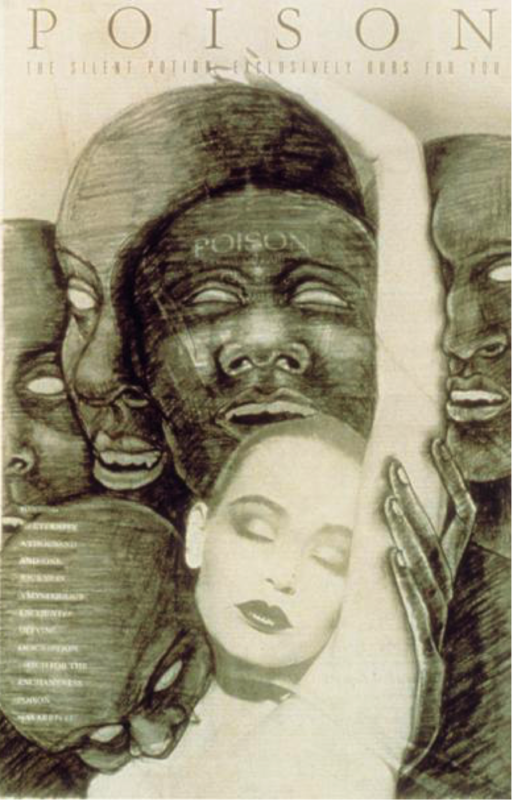 Adrian Piper, Vanilla Nightmares #18, 1987. 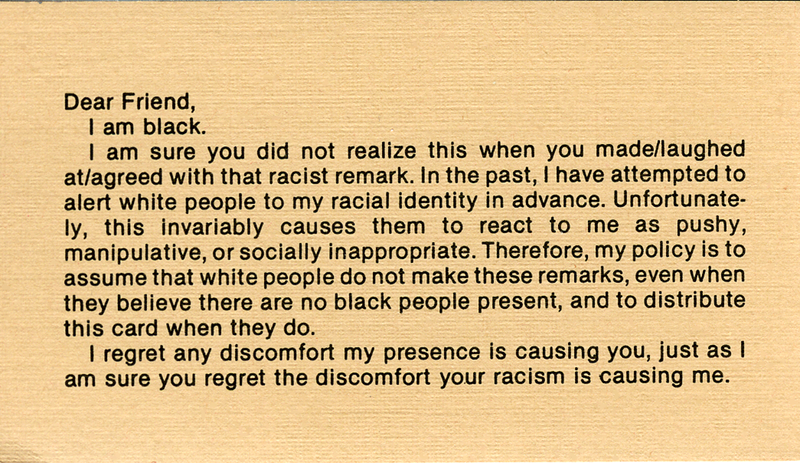 Adrian Piper, My Calling Card #1, 1986. 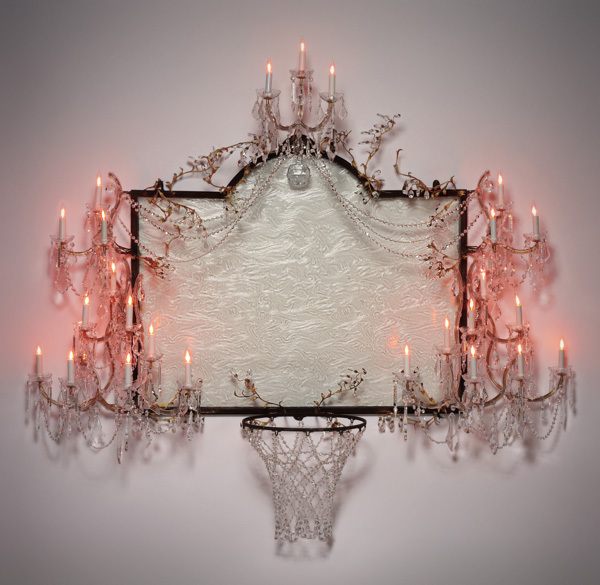 David Hammons, Higher Goals, 1986. 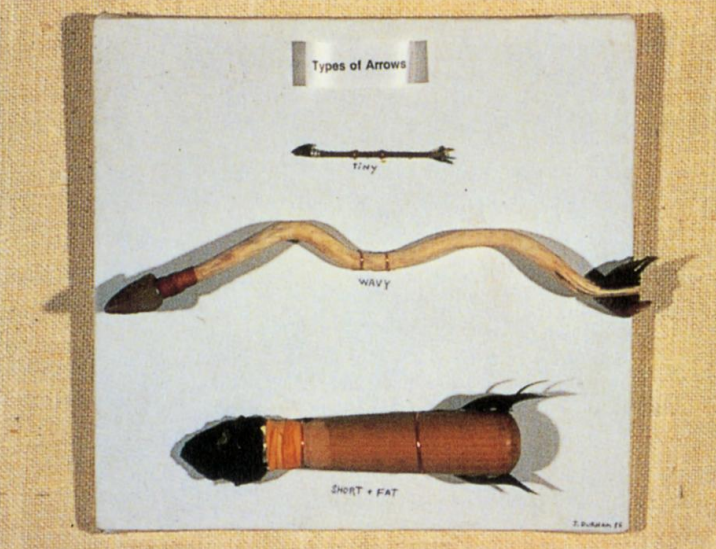 Jimmie Durham, On Loan from the Museum of the American Indian: Types of Arrows, 1985. 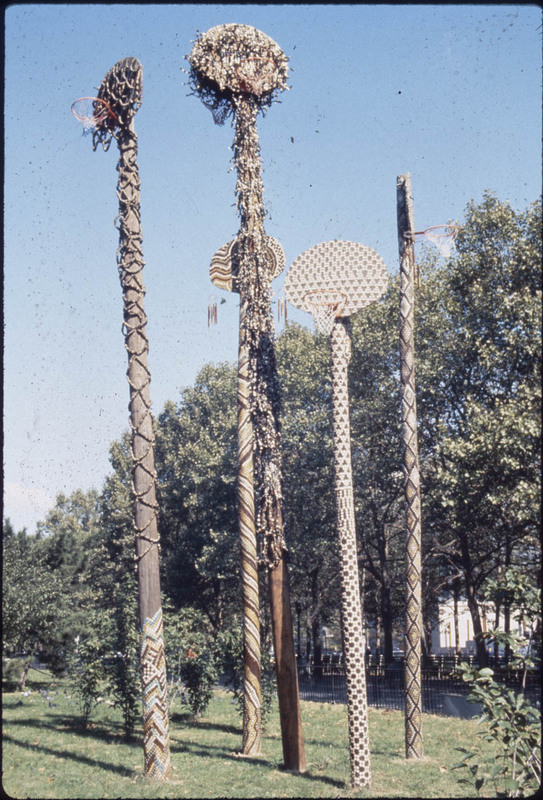 James Luna, Artifact Piece, at the San Diego Museum of Man, 1986. 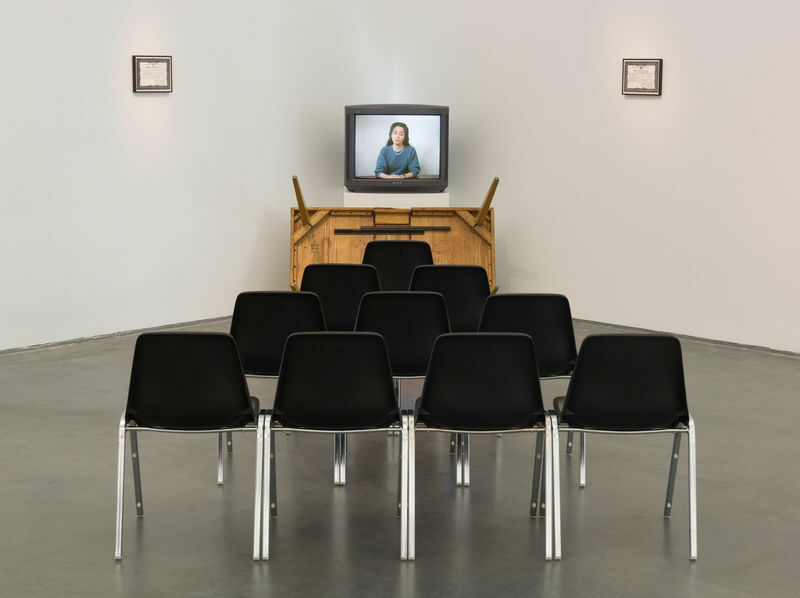 Damian Ortega, Cosmic Thing, 2002. 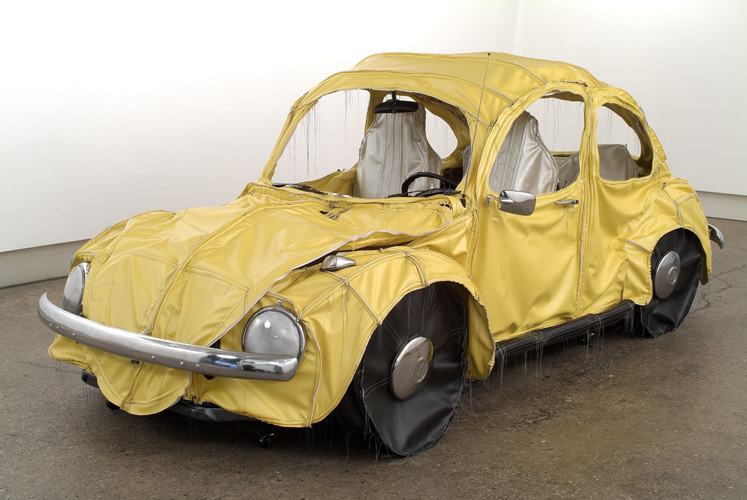 Margarita Cabrera, Vocho (Yellow), 2004. 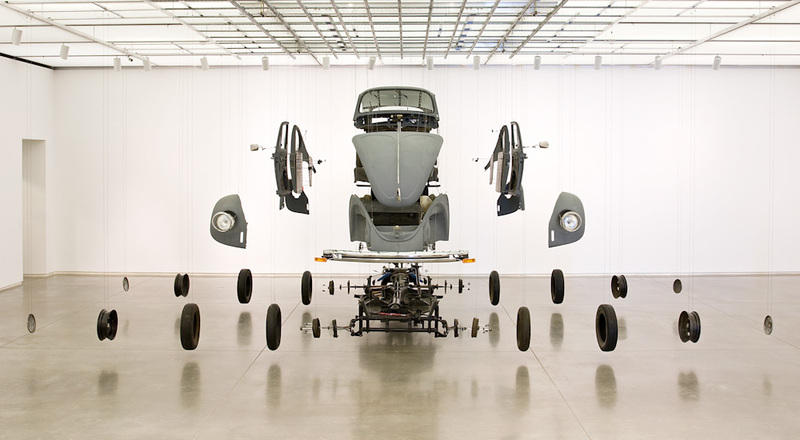 Ruben Ortiz Torres, High and Low Rider at the Getty Center, 2012.